At The Neat Company, we love Arbor Day….I mean come on…the entire basis of our company is to get our 100,000 plus small business users to eliminate paper. We all know paper comes from trees, and to make paper…well let’s just say doesn’t end well for the trees. This Arbor Day, Neat wants to take a moment to think about ways you can reduce paper consumption and point out some of the benefits of planting trees: either for your own property’s benefit or by supporting the Arbor Day Foundation. Regardless of where you sit on the tree hugger scale, I think we can all agree that any holiday that gets worked into a Naked Gun Movie is a worthy one…. First of all….let’s get Arbor Day covered. What is it and what does it do aside from keeping Frank Drebin from getting a date in The Naked Gun? Who is the Arbor Day Foundation and What do they do? We inspire people to plant, nurture, and celebrate trees. This is the mission statement of the Arbor Day Foundation, a 501(c)3 nonprofit conservation and education organization. Founded in 1972, the centennial of the first Arbor Day observance in the 19th century, the Foundation has grown to become the largest nonprofit membership organization dedicated to planting trees, with over one million members, supporters, and valued partners. This year National Arbor Day is on April 27th. Trees are nice and all, but really, how important are they? Trees have a massive impact on the environment. As far as their benefits go, they house entire ecosystems, clean the air, cool their surroundings, gobble up pollution, produce oxygen and are pretty awesome to climb and hang swings from. Trees are one of those background things that you don’t realize just how important they are until they’re gone. Nothing illustrates this more clearly than the amazing story of the “tree man” in India, whose story was turned into an award-winning documentary. Basically, the man’s island was a dessert due to deforestation. What he did would make Johnny Appleseed green with envy. He single-handedly reforested an entire island by himself – meaning he planted a forest that’s larger than central park in New York City. Click his picture below to watch it on National Geographic. What this man proved is that one person’s actions can make a difference. If you are concerned about the never-ending drumbeat of doom and gloom surrounding the topic of our environment, you can make a difference by planting trees, reducing your paper consumption or donating to an organization like Arbor Day Foundation and supporting their global reforestation efforts. How to donate or order trees from Arbor Day? You can join Arbor Day Here. In doing so, you get free trees and a tax deduction! Who could say no to that? You can purchase trees from them online. They ship small and bare root so you’re not getting something you can hang a swing on….but like the story above proves, every small sapling planted makes a difference. Email In – Bypass receipts at the point of sale and opt for email receipts. This can be tricky for some folks because many don’t want to give out a personal email address to a store for fear of being put on tons of email marketing lists (or worse). Neat offers an extremely convenient feature for its users with our email-in feature (an exciting name, we know, but it works). Neat generates an @neatcloud.com email address for you which you can give to all of your business suppliers. As you receive emailed receipts or invoices, Neat will pick up the information in the email or attachment, process it an put it into an expense folder for you. We retain the digital image for tax purposes and you never have to worry about losing a paper receipt again. No paper reduced audit risk….what more can you ask for?! Use electronic signatures when possible. Most people don’t know but the free version of Adobe PDF has a document fill/sign tool that can be used to sign a digital document instead of printing, signing then faxing/mailing. Get out of the habit of printing everything. Instead, use a digital version and either email it or share it via Neat’s collaboration feature. Collaborate Electronically – Neat’s software includes a handy collaboration and file sharing feature that should eliminate the need to print and fax/mail documents. You share the contents of a folder in Neat and eliminate the need for a paper copy. Snap a pic then recycle – Too often, we print things we don’t need, or just toss things right into the trash when done. Neat’s mobile app lets you snap a pic of a document and get a digital version of it stored in a secure cloud environment. It’s a great way to securely archive documents you don’t use frequently, but may in the future. In summary, we love trees. We need trees. Trees make everything better. Individually, we can all have an impact. Plant some new trees on your property or donate to Arbor Day and they’ll use that money to support planting efforts. And be sure to use Neat to help reduce the amount of paper your small business consumes each month. 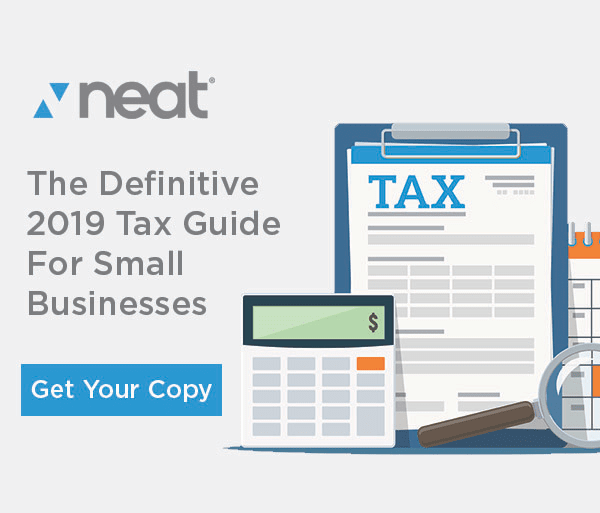 The Neat Company makes cloud-based productivity software for small businesses that helps them better manage and provide real-time visibility to their expense and spending while enabling secure document storage and remote collaboration with employees, clients or your accountant/bookkeeper. With its Web and Mobile apps, Neat enables you to capture expenses via phone/camera, email directly in, scan or direct upload. Once captured, the Neat software reads the information from the document and transforms it into a searchable database record that’s ready to be used in expense and spend reporting, tax preparation or save time by automating data-entry into to popular accounting apps such as QuickBooks.